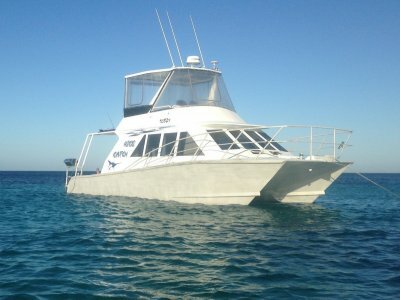 50' Kimberley Cruiser Aluminium Catamaran launched in 2009 and powered by twin 120HP Isuzu turbo engines and a 14KVA Isuzu Generator. 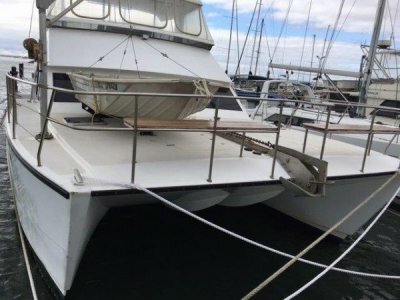 This Catamaran was built for long distance cruising with excellent fuel economy at 16 lph @ 12 knots. 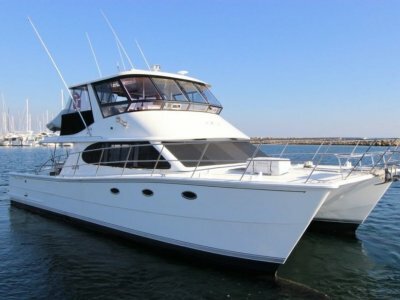 Has water and fuel capacity of 1600 litres and a desalination plant that produces 90lph. 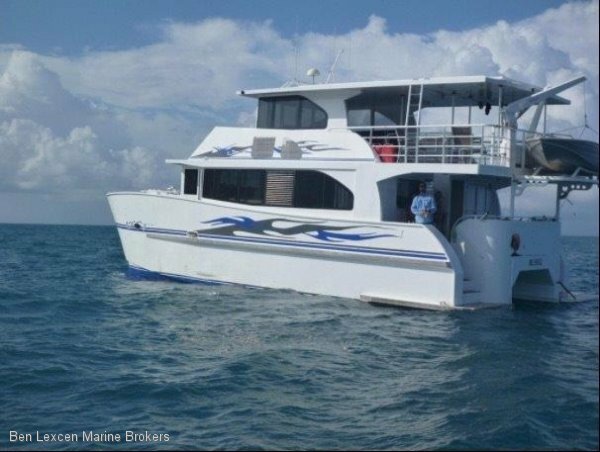 Dual steering stations, seamap navigation system, live bait tanks, airconditioned living spaces including berths (1 queen and 2 doubles) this vessel has many features. 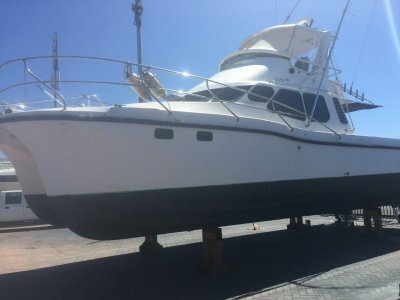 Last Slipped in Sept 2018.